Whether you’re looking to sell or buy a property in Leicestershire, it always pays to fully get your head around the Leicester Property Market before you start. That way you can be sure that you’re getting the best deal. When it comes to selling your home, getting a good valuation is vital, but, as well as getting you the most money back on your property, it has to be realistic, having taken into account a good knowledge of the Leicester Property Market in general. The area that it’s in is a big factor when valuing a property, so it’s important to look at how house prices in 2017 and previous years fared in that area over time and the things that affected them. 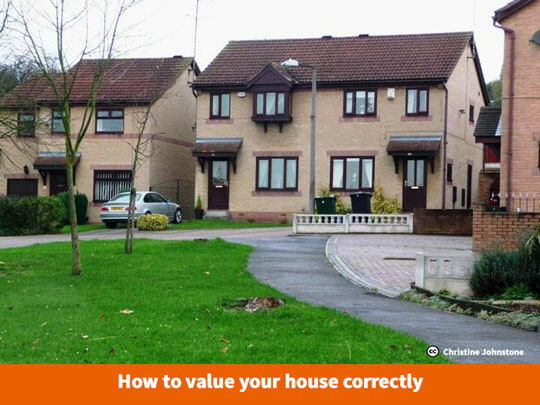 If house prices are going up steadily then this can give your valuation a positive boost. A good valuation based on the area can also come from factors such as if it’s near to a good school, for example, or close to public transport routes and amenities. How to get the price right? There’s no exact equation with regard to getting your valuation spot on, but there are certainly plenty of ways to be sure that you’ve got it right. Not only should you make sure that you’re getting enough for your property, but it can be just as damaging to ask for too much (because buyers will be looking for a good price so it could stay on the market for a lot longer than you hoped). Again, studying the area around you is key. Do your research to see what similar properties to your own have done in the area, rather than basing your valuation on national averages. Bear in mind sale prices rather than asking prices too, as there’s no guarantee that your neighbours had the best valuation. With that said, don’t ever assume that two houses are the same value because they’re the same size (this is where the factors mentioned above can again play a part). Make sure to get a couple of valuations from the professionals and find out why they’ve given you the price they have. Ask them if there’s anything that could easily be done to improve the valuation, such as painting the walls, or tidying up the garden. Little things can sometimes go a long way. Consider each valuation you get carefully, based on the explanations behind it. Going for the highest valuation isn’t always the most sensible option. In 2017, owners of semi-detached houses in the LE3 area that instructed Readings achieved 99.2% of their asking price and were on average sold within 6 weeks. Likewise 70% of LE5 properties sold for the full asking price or more, and were on average sold in 30 days! If you’d like an idea of what your property could be worth, use our website to get a free instant online valuation. You can also get a lettings valuation to see what rental you could achieve for your property too. If you have any questions, get in touch with our experts today to find out more.